A simple pattern, a checkerboard, a solid floor … all possibilities are good for laying cement tiles in your home. 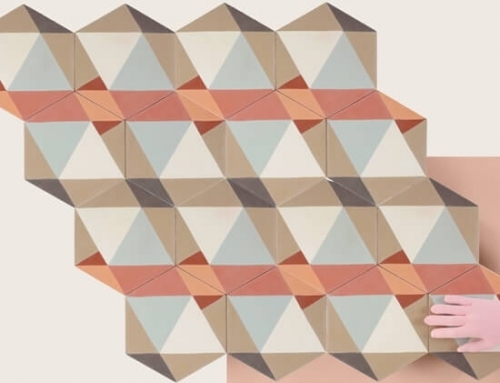 Today, the trend is patchwork cement tiles. Plants, patterns and even borders are mixed together to create a custom floor or wall. 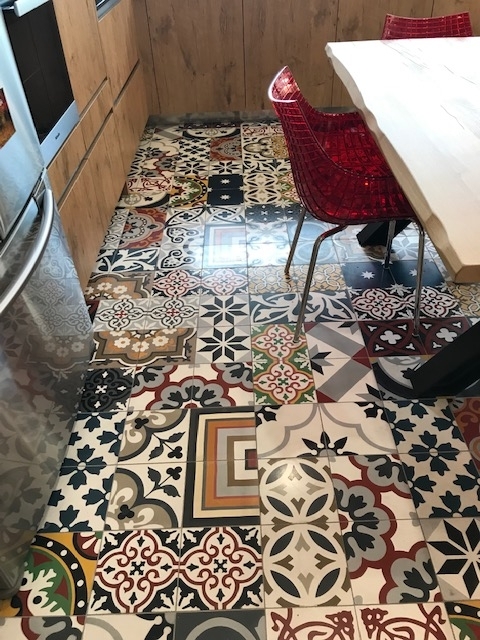 To bring a personalized decoration and fantasy to your floors or your walls, the patchwork of cement tiles will be recommended. Cimenterie de la Tour offers a customization of your soil according to your desires. Do not hesitate to contact us to help you create your carpet. The entrance is the place to put a patchwork of cement tiles. Indeed, it will give a pleasant and full of character to your home. Also, it will be possible to mix several colors or to leave on different patterns in shades of black and white. Depending on the style of interior decoration, different patterns and colors will have to be chosen. Want to bring an industrial style to your entry? We know that this type of decoration does not include a lot of color. We are in black and white colors, wood color or brick red. 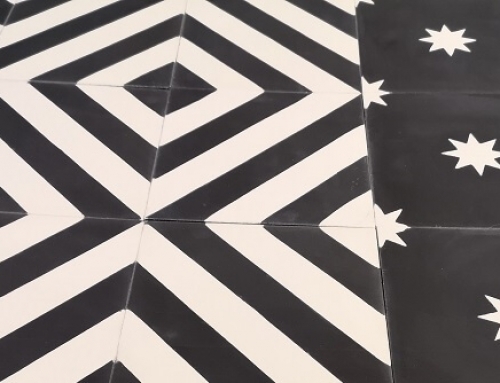 For this, we advise you to leave on a patchwork of black and white cement tiles. Also, to accent the decoration, geometric patterns will be preferred. Do you want to ask a patchwork in your entry to the country style? To get closer to nature and stay in a bohemian atmosphere, we advise you to leave on floral and colorful. The green cement tiles will recall the trees, the yellow ones the sun and the blue cement tiles the sky. Cement tiles are always installed in kitchens. At the time, there were small red tomettes. Today, we mix patterns to bring a contemporary style to a kitchen. 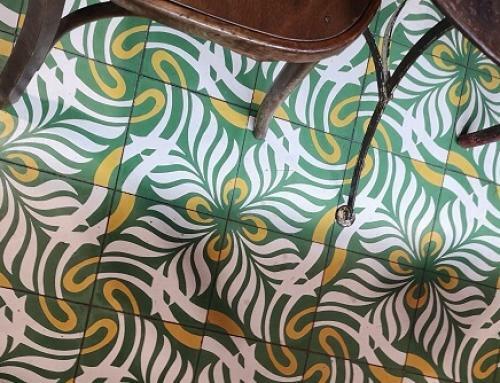 Do you want to add a touch of originality to your kitchen floor? The patchwork will be a good choice. If you want a soft rendering, we advise you to integrate plain tiles to illuminate the floor. 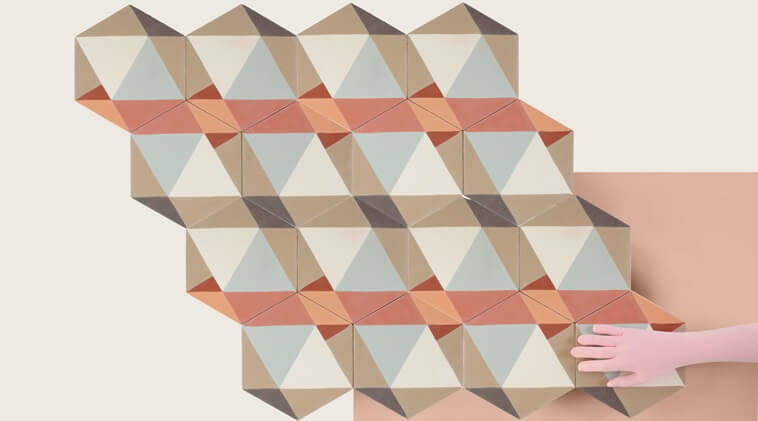 With a patchwork floor, the credenza will work with neutral tiles. The kitchen credenza is the first thing we see when we enter a kitchen. Indeed, the eye is at the level of the latter. To bring a decorative touch, the patchwork on a credence is preferred. You can then imagine a mix of plain cement tiles or patterns. In a bathroom, the cement tile will be placed on the floor outside the shower. It is possible to put some inside the shower. However, you should not use aggressive products (bleach, anti-limestone, white vinegar …) for cleaning your tiles. For walls, earthenware or porcelain stoneware tiles can be installed to avoid these maintenance concerns. 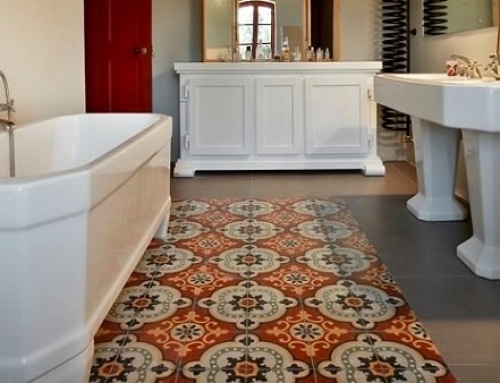 The metro tile is a good choice if you choose cement tile. 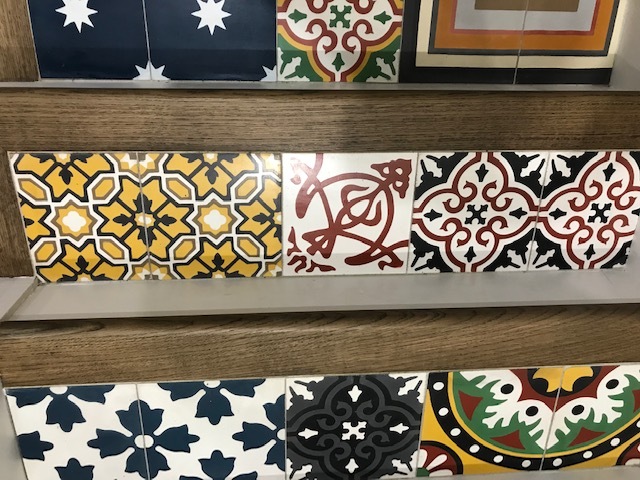 There is also tile in the format of the hydraulic tiles. Do you have a renovation or construction project? 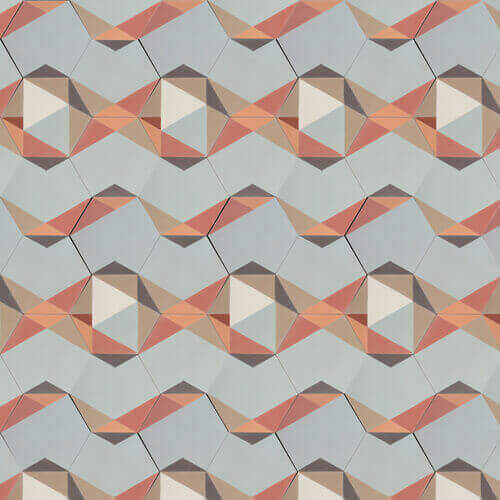 Discover our patterned cement tiles, plain or hexagonal. 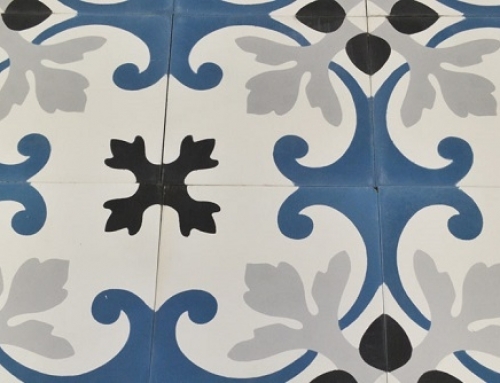 You will find in our two showrooms in Lavérune and Saint-Aunès real cement tiles.